You must make reservations at least 5 minutes in advance of the time at Pete Miller's Seafood and Prime Steak - Evanston. Valet, Metered Street Parking, Public lot 1-2 blocks away. Live Jazz every night of the week. Located in downtown Evanston, the original Pete Miller's was founded in 1994 as a tribute to the late Harold "Pete" Miller. 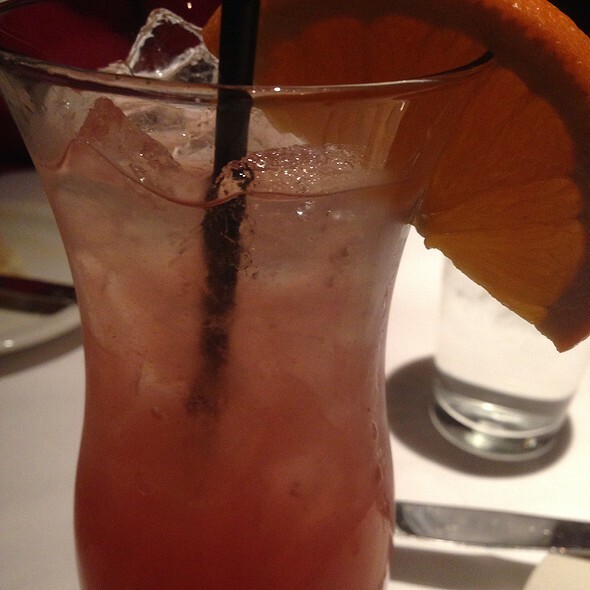 The restaurant celebrates his favorite things; swingin' jazz, a good honest drink & a great steak. 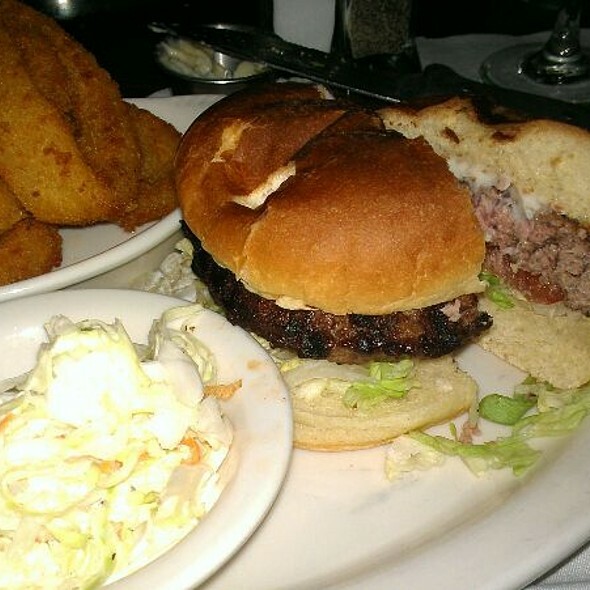 Join us for dinner and experience what Pete's has to offer. Fantastic service and food. Live jazz was wonderful and not too loud. Overall we loved our dining experience. The live music was great and added a lot to the ambiance of the restaurant. The food was delicious and well prepared. The only negative was the service. Our server was friendly and knowledgeable but there were issues with the service on a couple of points. First, both the bottle of wine we ordered for the table and the after dinner port that one guest ordered was not available. Second, the time between when they cleared the dinner plates and offered the dessert menu was so long we almost gave up and just asked for the check. Then, one of the desserts we chose was not available!! I will give Pete Miller's another chance and just chalk up the service issues to a bad night. Celebrating my husband’s book submission to publisher. In general, service and food was very good. We ordered the daily Special, surf and turf. It was excellent although for the quantity slightly overpriced. The service was great; our waitress Yvette was fantastic. The food was delicious, though my wife's baked potato was hard and had a few black spots on it. We enjoyed the live jazz, though it did make conversation little difficult. Great as always. 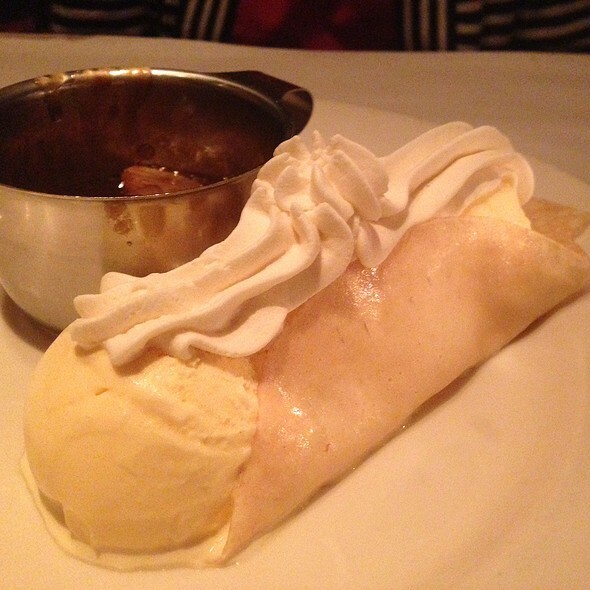 I love to dine at Pete Miller’s for their classic ambiance and excellent food. They also have a great wine list. We have been coming to Pete Miller's in Evanston for many years. We return for the fun atmosphere, live music, great food and service. This past Saturday we were celebrating a special occasion with friends which was ruined by the waitstaff. The atmosphere and music were great. The service however was atrocious. The server was rude, unprofessional and lacked any graciousness. He did not introduce himself, put fingers in the plate while serving, and delayed the main course significantly and served it cold. We also had to refill our own water glasses. After being ignored by the waiter for over 30 minutes, I finally went to get the picture of water for myself and our party. The waiter appeared and actually smirked at this, no apology given. The valet guy was much more professional. It's sad to see an otherwise great restaurant being undermined by incompetent and uncaring waiters. 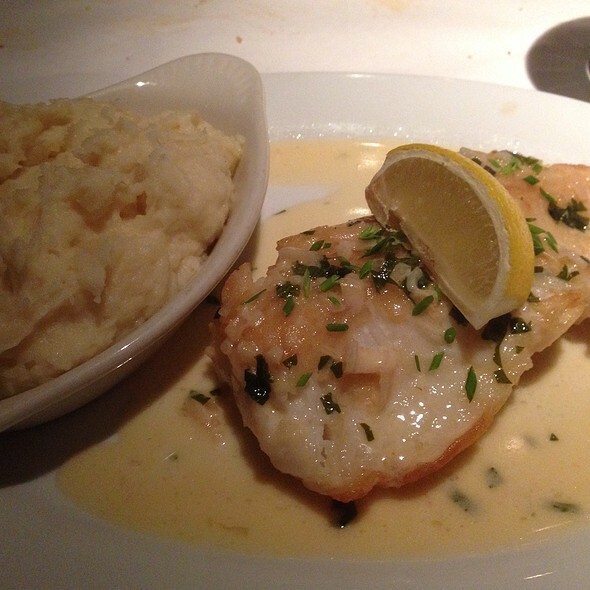 Pete Miller's is both a fine-dining restaurant experience and a first rate jazz club. Every night of the week, talented local bands set up shop in the roomy corner stage area. A wood-panelled bar dominates the center of the room, leaving ample space for waiters and patrons to walk around it and get to various comfortably-situated tables and nooks. And the steaks and fresh seafood are superb, just like the music! A very classy establishment. We’ve been going for years but this was our best experience! Food was incredible and the band on Mondays is phenomenal! Love the food and the ambiance is always fun when live music is going on. However, this visit the server was less attentive and he had told us that a dessert would be complimentary (it was a birthday celebration) but we were charged for it. We love to go to Pete's , but with a special diet what you get can be iffy! Attentive and friendly service. Nice setting! Friendly fun atmosphere. Great welcome at the check in desk. Service by Brian was helpful, efficient and fun. Food was excellent. What a gem! One of the best aged steaks I’ve had in Chicago at an incredible value. Terrific ambiance, though the jazz trio was way too loud to allow conversation. And our service was excellent until the server forgot about us for the last thirty minutes of our evening—would have been nice to have another drink, and we had to ask for the check because they were making us light for our show. But I’m chalking it up to a Saturday night rush, and will definitely be back. Great welcoming in the entrance, attention was given to my wife’s birthday and the food was excellent! The live band performing first night ever at Pete Miller’s were good. Well worth going! Great food as always. Excellent steaks and vegetable sides. They also make a fabulous dirty martini! We just happened to come at an hour that was “happy hour. “ Both of us ordered their outstanding steak burgers. Truly the biggest bargain in the world. At full price it’s still a very low cost, extremely delicious meal, but unbelievably so during “happy hour.” A great place for a very good, delicious meal. Nice service too. As always Pete Millers service, food and ambiance were much appreciated. Keep up the good work. We enjoyed the food-it was excellent, entertainment was gentle jazz and our waiter outstanding. My 1st time there and it was wonderful. The band "Return2Soul" was grrreat!!! Will be back. Make no mistake, this is a nice restaurant with delicious food. Steaks are wet aged, so flavor is really good. Portions are generous. Side dishes are well prepared. Live music enhances dining in this restaurant. It's a nice and attractive room with a noise level that permits conversation. The evening we dined there the service was friendly, but not as attentive as I expected given the price points of the menu items. My steak, ordered medium rare, was cooked properly but was only warm when it was served. I also was very disappointed in the presentation of my meal once plated. The steak was plopped onto the plate with a dollop of grilled onions next to it with no other attempt to make the presentation attractive or pleasing to the eye. It looked like the meat slid around on the plate while it was being taken to our table from the kitchen. Again, not the presentation I expected at this price point that evening. Dessert was delicious. Again, everything that was ordered for our meal was delicious. We were pleasantly surprised! Immediately upon our entrance we were greeted with the most friendly of hosts! We also were seated in a very comfortable booth in perfect proximity to the live music, it was not too loud and not too soft:) perfect ambience. Service was top notch and the food was delicious. We split the lobster stuffed mushrooms as an appetizer. French onion soup was as classic as I remember it, the steaks were cooked to perfection and the drinks were great! highly recommend for great steaks and live jazz. Atmosphere and service were excellent. Lobster was perfectly cooked. Wine list was fantastic! They were incredibly nice and patient with my dad as we were really late for our reservation. It wasn't a busy night so they had flexibility but it was still welcome to see. Food and service always great. Always go there when in Evanston. Great vibe! Always great food and service and close to Hilton. Everything was great. I really enjoyed the band and the food was as always good. Great as always. Their signature steak is the best. The food is excellent but the best part is that Petra van Nuiss was singing jazz standards while we had dinner. A world class jazz singer and no cover to hear her perform. And she has a personal touch, taking requests!! Absolutely remarkable. A bit pricey but very good food and great atmosphere. The live entertainment was not so loud that we could not enjoy lively conversation. Wait staff was very attentive and knowledgeable. Everyone had an enjoyable evening. The Delmonico Ribeye was everything I expected it to be! Cooked to perfection! 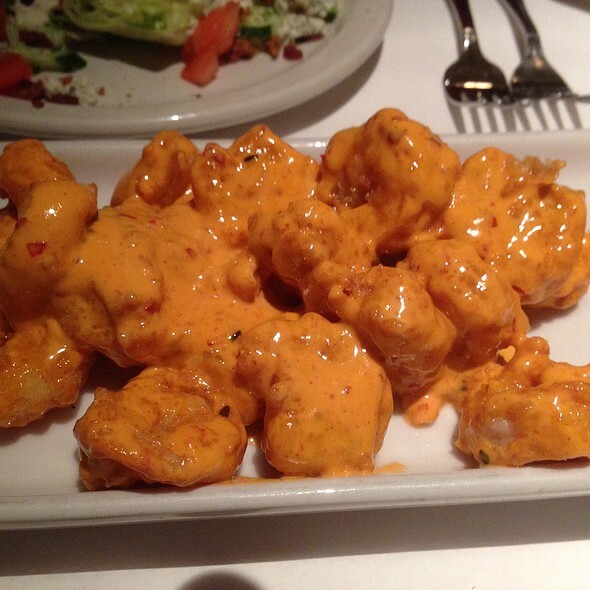 Delicious and Tender! Didn't like the Tomato Feta Dip though. Service could not be better!! Everyone was super friendly and helpful. The great service made it a special night out. I thought the steak was underseasoned, but everything else was good. 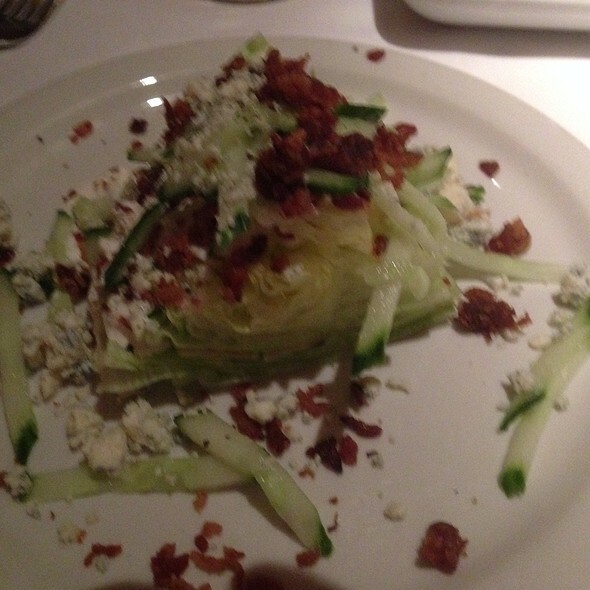 We really recommend Pete Miller's. We went to Pete Miller's to celebrate our anniversary. Being from out of town, we figured we'd have a "fancier" dinner for our last meal in Evanston - what a disappointment. The live music was great and quite frankly the better part of the entire experience. The service was just okay. We were taken to our table immediately. In the beginning our waiter was very rushed and kept coming to our table for our order. We were there to have a good, relaxed night - not be rushed. Once we had our food, our waiter took the backseat and barely came back to the table. It took a while for him to come check on us which was frustrating since there were issues with our meal. My boyfriend got the special 3-course meal. For $45 it included lobster bisque, a 4oz filet and 6oz lobster tail with broccoli and mashed potatoes, and marscarpone cheesecake (all of which I tasted). The bisque was forgettable with maybe one piece of lobster in the entire cup. The lobster tail was simply steamed with no seasoning. A side of melted butter was provided but even that lacked garlic and salt. 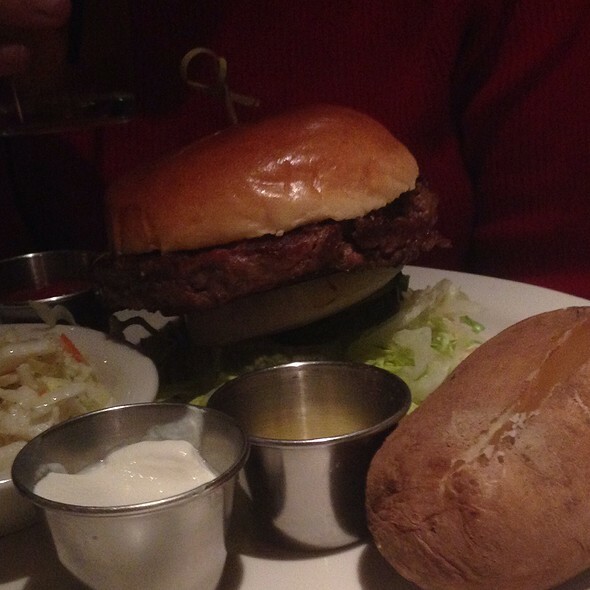 The steak was unimpressive - we've had better steak at chain restaurants and coffeehouses. There was NO seasoning. The broccoli was steamed, again no seasoning. The mashed potatoes were the best feature of the main course. It was flavored with butter and garlic. The cheesecake was also good but we've had better. The meal was vastly underwhelming for $45. The food was fabulous, as always, and our server Mike was great. My only problem: the room is too small to have a band like the one you had last Saturday. The sound level is way too loud and detracts from the fine dining ambience/experience. Perhaps have the band start later when most diners have finished. Amazing music. A lot of dining options--you don't have to spend an arm and a leg, although it's easy to. (And when you do, good quality. 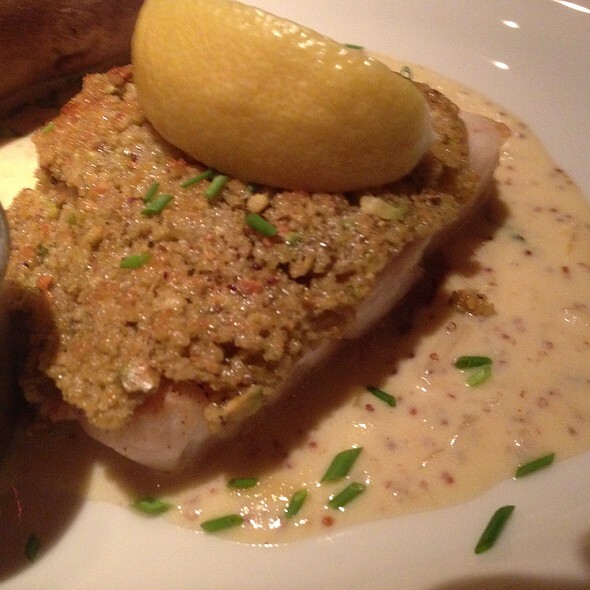 We ordered trout and sea bass the other night, and both were wonderful.) Very professional service; attentive and friendly. Went to Pete Miller’s for my daughter’s birthday. We each had something different for an entree and all of them were excellent. Would definitely recommend this restaurant for a special night out. 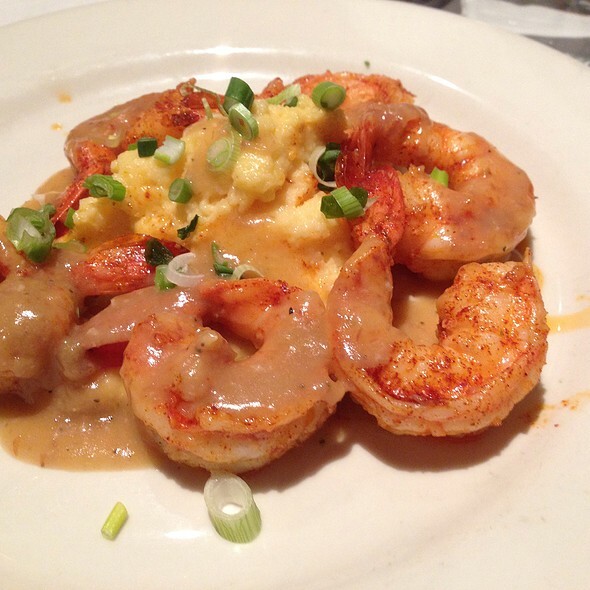 We love Pete Miller’s. We go regularly.